Today, there are plenty of websites that provide recipes for cooking. Examples of such recipes are a daily meal, special cuisines suitable for parties. Thousands of recipes are available for free; not only those by amateurs but also by professionals such as famous chefs. These recipes are easy to search and access. Today is much for convenient than 10 years ago when we had to buy expensive and heavy recipe books. I have one recipe; which my friend gave me in the pre-Internet era. 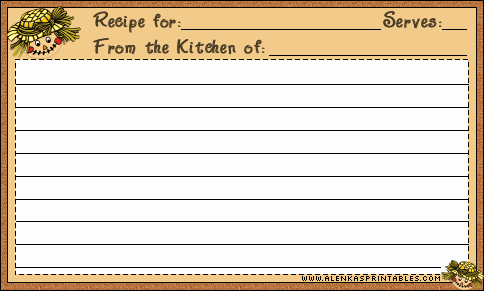 It is handwritten, and, on the top of the recipe card, instead of a title of a dish, there is a line saying "Form the kitchen of ...". Recipes are written for a specific person carrying not only directions but also enclosing the creator's sentiment and love towards the recipient. A recipe is a medium; a communication tool to carry emotions on dietary life. We have to develop recipes on the Internet with great care, to take back the functionality of recipes as emotion-transmitting-media. This effort will also contribute to mature the current Internet society over the flood of information.